I did my own version of Katrina Crane using pieces from my line. 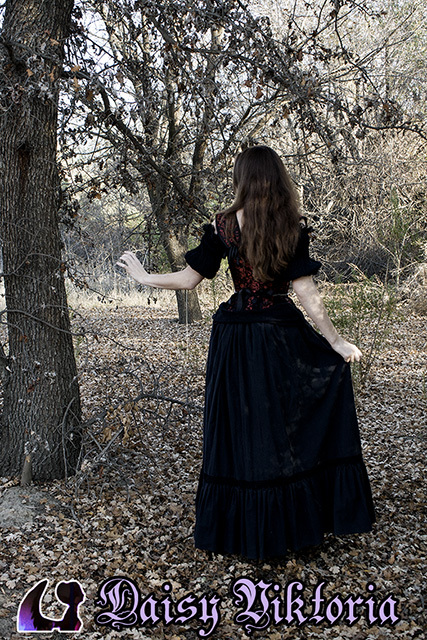 This is my Elizabethan corset in red and black brocade, worn over a black maiden blouse and black skirt. On top is a black and gold jeweled belt.